Eyes on the goal. Focus on the task at hand. 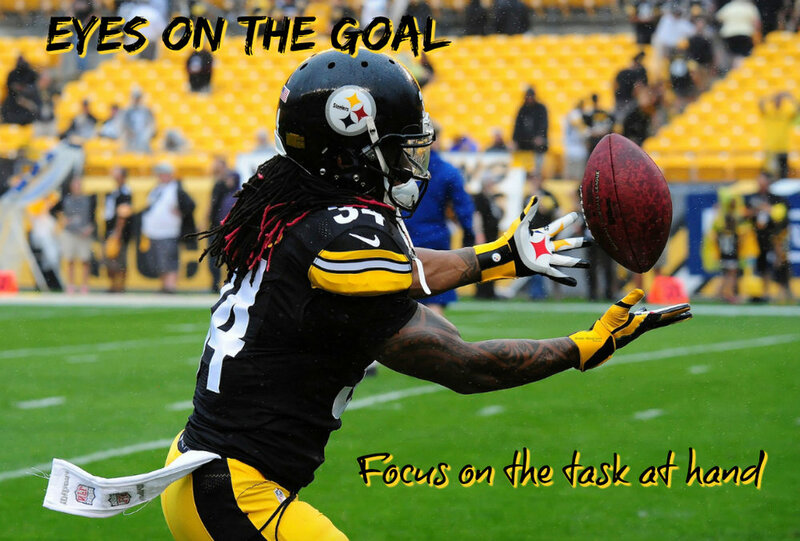 DeAngelo Williams wants to win the Super Bowl, but right now his focus is 100% on making this one catch. It's the only task that matters. Make sure the task you're working on is the right one - the one which, if completed, will move you towards your goal. Then give that task all of your attention.